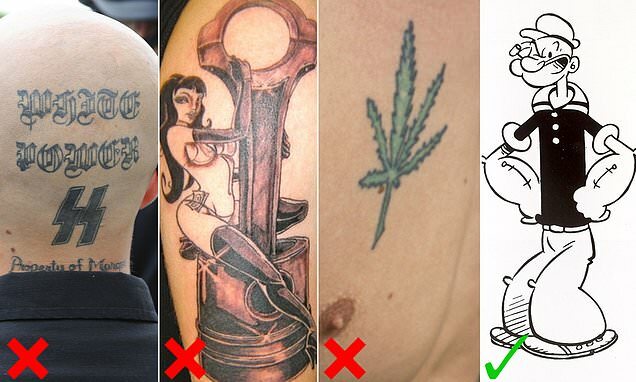 The Royal Navy has launched strict new recruitment rules which ban racist, sexist or drug-related tattoos. While sailors for centuries have enjoyed getting tattoos to mark their sea going adventures, military chiefs say any artwork that depict politics, violence or any reference to drugs will now rule out would-be seamen. Despite this, Navy chiefs stress most tattoos and piercings won't prevent recruits joining the Royal Marines providing they are not visible on a front view passport.